The Brown World Music Ensemble will take the stage with percussionist Jay Hoggard on Saturday, November 17 at 8pm in Grant Recital Hall!! 5 months 2 weeks ago. 9 months 4 weeks ago. Kwaku Kwaakye Obeng shared a post. What a fun show! 9 months 4 weeks ago. An exciting show next Thursday in Providence with the World Music Ensemble at Brown. 1 year 5 days ago. The record is called Afri-jazz. The sound is otherworldly, the rhythms- Africa with a 21st century jazz state of mind. 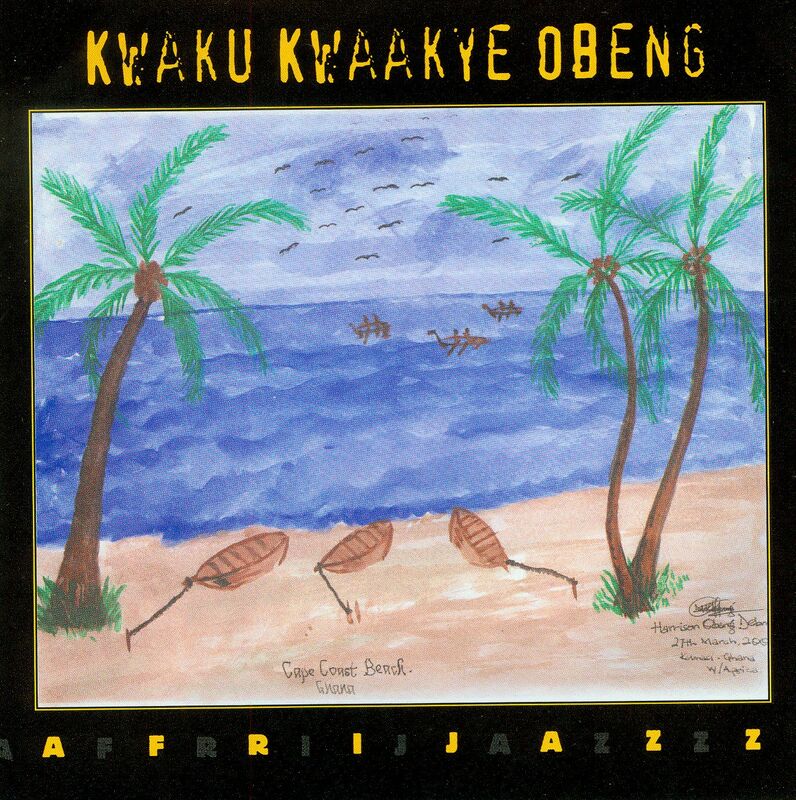 This world belongs to master drummer Kwaku Kwaakye Obeng (aka KKO). He started out in the Royal Court of Ghana as a drummer, came to the U.S., and has since played with different sorts of kings; guys like Max Roach, Roy Hargrove and Anthony Braxton. The sounds found on this little plastic disc will take you back to a different time; one that never existed! Imagine Kenny Clarke born in the heart of Africa and you begin to get the picture. Did we mention the ultra groovy cover of "Round Midnight" for bass clarinet and tom toms? This is a terrific record; truly striking. This music says something profound about homo sapiens’ rhythmic ingenuity and the enduring power of the drum (even our earliest ancestors had the funk, apparently). Kwaku (also known as Martin) is one of my teachers so there certainly is a lot I can say about this music. I first discovered this album when he played excerpts from it for the class. I thought right away, wow! I bet many people would be surprised to know that jazz actually comes from African! This guy masterfully honors his African heritage in a way that others would find it hard to do. Pick this album up! (Warning!!! Side effects may include but are not limited to: feeling the beat, a sudden urge to dance, whooping & hollering, a feeling that says that was the best [...] you ever spent, & so on.) MUSICIANS: KKO-african percussion, voice, drums with Wes Brown-acoustic upright bass; Jay Hoggard-xylophone, voice; Will Lowe-trombone; Ho Bynum-trumpet, flugel; Paul Austerlitz-bass clarinet; Mike Veal-drums; Dominic Kanza-guitar; Ismail Lawal-drums, percussion; Gloria Koomson, Jeff Penn-percussion; Scott Kessel, Rani Arbo-voice.